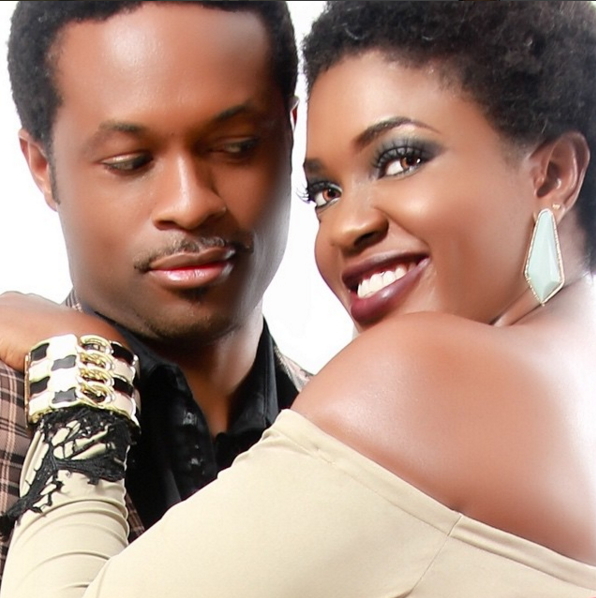 Chacha Eke married her boo,Austin Faani a movie director on June 1st 2013. They got hitched in Asaba, Delta where she is based. They have a daughter Kamarachukwu Darlene Faani. Heart throb Richard Mofe Damijo married Jumobi Adegbesan in 2000 .He had been previously married to first wife Mee,who died in 1996. 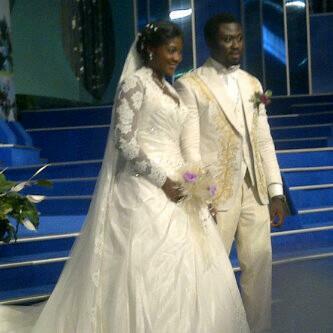 Their white wedding took place at Chris Okotie household of God. One of the most popular Nollywood weddings ever was that between,Mercy Johnson and her husband Prince Odianose Okojie.They got married in 2011. They had their traditional wedding on 26th August, 2011 at Iyana iba, Lagos state,while their white wedding took place the next day 27th of August 2011 at Christ Embassy Church .It was a much talked about event amongst movie fans all over Africa and beyond. Actress Nuella Njubigbo married fellow Nollywood movie director and producer, Tchidi Chikere on 29th of March 2014 in Anambra state.They had previously had their official day at the Ikoyi Marriage Registry in Lagos on the 2nd of Dec 2015. One of the most loved celebrities in the industry are Joke Silva and Olu Jacobs.Their union is also much admired as their has never been a scandal from their stable.Olu Jacobs and Joke Silva have been married for thirty years now,they tied the knot on 16th November 1985. They then on 16th, November 2015 celebrated their 30th wedding anniversary .They are blessed with children as well as those they adopted. Another hot heart throb that managed to leave behind all his female fans and tie the knot is O C U keje. He got hitched to his boo, his wife Ibukun Togonu on November 8, 2014 at the Hoares Memorial Methodist Cathedral in Yaba, Lagos. The lovebirds met at the University of Lagos in 2001.After a long courtship,they finally did the right thing. The son of famous actor Peter Edochie,Yul, got married to May Aligwe in 2004,the couple have two boys and a girl. Yul Edochie and his wife are another happy ending couple in the industry where it is hard for relationships to survive due to temptations and pressures of the job. The woman with the beautiful hairstyles,Omoni Oboli married husband Nnamdi after a very short dating period.She told the story of how they met and lost touch.He tried to find her and thought she had deliberately given him fake info.When he found her 4 years later,he proposed after only 2 weeks! Now,that is a man who knows what he wants.They now have 4 sons.